The Department of Veterans Affairs plans to outsource issuance and administration of the “Veteran's Choice Card,” a key provision of legislation signed last month by President Barack Obama that allows veterans to seek health care from private providers outside the Veterans Health Administration network of 950-plus hospitals and clinics. The White House has invited business leaders to a meeting in Washington to explore ideas to improve employment opportunities for military veterans. The Obama administration wants veterans and their families to be able to access innovative, accelerated learning programs that teach IT skills for growth industries and in-demand occupations. Government agencies involved in the discussions will include The Department of Veterans Affairs, Joining Forces, The Office of Science and Technology, and The Office of the Vice President. This fall, the Department of Veterans Affairs plans to release new mobile health applications aimed at helping veterans access and manage their health records, FierceMobileHealthcare reports (Mottl,FierceMobileHealthcare, 9/4). To provide military veterans and active-duty service members with data on which top-ranked schools offer benefits that can help them pursue a college education, U.S. News has produced the Best Colleges for Veterans rankings for a second year. 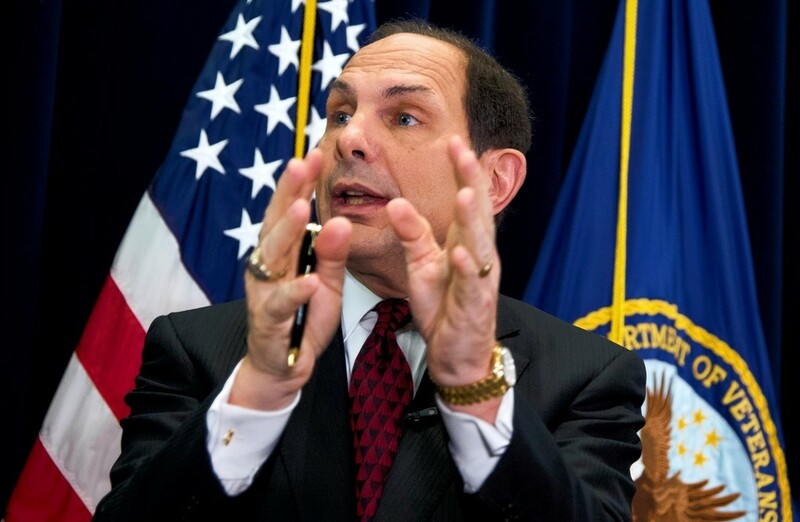 WASHINGTON—The new head of the Department of Veterans Affairs said Monday he is working to streamline the VA's sprawling bureaucracy, simplify the process for veterans to receive care and hire thousands of new doctors and nurses. Robert McDonald , who was confirmed by the Senate in July as VA secretary, said he wants to foster a culture where whistleblowers feel safe to speak out and employees who contributed to delays in care are disciplined. The Washington Post and Kaiser Family Foundation conducted a nationwide poll of veterans from the wars in Iraq and Afghanistan, revealing the profound and enduring effects of these conflicts on the 2.6 million who have served. Explore what we found. ear Adm. John F. Kirby is the U.S. Navy’s chief of information. This article is adapted from commencement remarks given at the Naval War College last month. In more than 10 years of war, we in the military have gone to great expense and trouble to listen to the concerns of foreign peoples and cultures. We have learned Dari and Arabic and Pashto. We have sat cross-legged in shura and tribal councils. And yet I worry that we do not pay our fellow Americans the same courtesy. It’s time that we do a better job understanding and relating to the people we serve. How to determine whether a noncustodial parent (NCP) is receiving benefits from the VA.